Do you want to develop relationships that will lead to business? Are you wondering how you can use social media to build valuable connections? 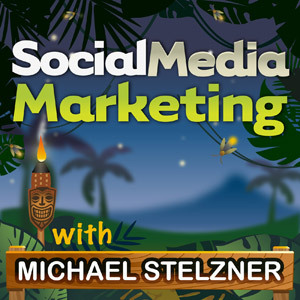 To learn about the importance of relationships in business, I interview Ted Rubin for this episode of the Social Media Marketing podcast. In this episode, I interview Ted Rubin, co-author of Return on Relationship. He’s also the former chief social marketing officer for Collective Bias and OpenSky. Prior to that, Ted was the CMO for e.l.f. Cosmetics. Ted shares the best ways to start to grow your online connections via social media. You’ll learn what you need to include in your profile and why return on relationship is the most important thing for a business or brand. Recently I attended New Media Expo (NMX) in Las Vegas, where I was not only embraced by fellow podcasters, I was overwhelmed by the number of people who came up to me to thank me for this show. I’d like to take this opportunity to thank each and every one of you. Since I had a mission for this conference, I didn’t announce that I would be attending. My hope is that you will be inspired by the story of why I did this, and that you will try it for yourself. In my second book, Launch, I talk about the power of other people. I coined the phrase “Elevation Principle,” which consists of great content plus other people minus marketing messages equals growth. For podcasters, the “other people” include listeners—a segment of whom I call “power users,” or people with extreme influence. Without them, it’s really hard to grow your business. I went to NMX with two purposes. I wanted to build relationships with the podcasting community and the parenting community, since I’m a newbie in both of these spaces. New Media Expo was a great event to connect with fellow podcasters. You’ll discover why I only attended a few sessions, and made it a priority to hang around at the end of each session. One of the best places to meet the speakers is out in the halls, or where the speakers gather to network with each other. They don’t seem to attend any sessions other than their own. It’s an opportunity to have amazing conversations with influential people. You’ll hear the types of questions I asked to get people engaged, which can develop into real relationships. This is one of the secrets to the success of my business, and it can be for you too. My take-home lesson is to get involved in real life through face-to-face encounters. One of the best places to do this is at a conference. Our upcoming conference, Social Media Marketing World, is a great place to start. Are relationships still important AND achievable with social media? Ted Rubin likes to say that “relationships are the new currency.” With all of the different social media channels available, you can reach the world 24/7, without ever leaving your home. It used to be that you had to wait until you were at a company meeting or an event to meet people. The problem today is that when people click your name or check a box to follow you, they immediately think they have a real relationship with you or your brand. Just by clicking like, people think that they have a real relationship with you. A lot of brands believe that they need to get as many likes and followers as possible so they can broadcast to them. It’s not about broadcasting, though—it’s about building relationships. Listen to the show to find out why building a relationship online is no different to a regular relationship offline. Ted says that you have to start with what he calls “looking people in the eye digitally.” An easy way to do this is to look at their profile and learn something about them. He often quotes Dale Carnegie‘s book, How to Win Friends & Influence People, as one of the best social media books ever written. The book was written in 1936. One of the simplest ways to get someone to totally focus on you is to call him or her by name. You can easily get a person’s name from their profile and you should always have your name easily accessible as well. Always make sure that your name and a few personal details are accessible on your profile. You’ll hear the advantages of calling someone by his or her name and how to pick up on personal things that you can then use to make a connection. Ted says there is no excuse in this digital world for failing to find out something about the person you are talking to. It’s these little things that set you apart from everybody else. Listen to the show to learn why it goes a long way for people to know who you are as a person. He first started to use the expression when he worked at e.l.f. Cosmetics. When Ted joined the family-owned business, they had no marketing budget. This was a huge challenge for him. Within four years, e.l.f. grew from $10-12MM/year to approximately $40MM within 2 years and became an inline brand at Target. The database increased from 600,000 to 2.4 MM. Ted saw this as a great opportunity to build relationships and leverage the data, reach and advocacy with social media. The number of names in e.l.f.’s database increased from 600,000 to 2.4 million, from the use of promotions and social media. The owners found it hard to understand why he wasn’t doing something that led directly to revenue. Ted found a way to get them to understand. It wasn’t about return on investment (ROI), it was about return on relationship. You’ll discover what platform Ted used back in 2008-2009 that made him realize he was on to something. At the same time, he had built the first aggregated content site. The blog was very active and it really connected with people. Listen to the show to learn why the return on relationship today is about the connection, loyalty and sharing you have with people. Ted is a huge fan of Jet Blue because they listen. They let you know that they care when you have a problem and that they are doing something about it. Jet Blue does a great job of listening to customers. Ted likes to say that brands are from Mars and consumers are from Venus. Brands say one thing, and consumers hear it differently. Consumers want to be heard. You can go a lot further if you show that you listen. You’ll hear what happened when Jet Blue’s reputation took a hit back in 2009, and how they used social media to overcome it. Duane Reade is another company that does an amazing job at building relationships. When Ted worked at Collective Bias, he helped build Duane Reade’s social presence from 900 to 1.7 million Twitter followers. You’ll find out the strategy and what people associate the brand with. Listen to the show to find out why critics are very valuable to your business. Ted feels that in today’s digital world, recommendations and comments made by people are held in high regard. A lot of relationship building and interaction are vicarious—not necessarily resulting from a direct conversation. Some people watch others’ conversations on Twitter or visit a person’s Facebook page every day just to get a feel for who they are. For Ted, advocacy is about people who share and make recommendations. He feels that the comments people make to their friends via social media are more important than reviews. You’ll hear about the best ways to build brand advocates and how their suggestions can help you form a connection with your community. The best advocates you can have are your employees. A company called Dynamic Signal does a great job of helping company employees build their personal brands. You should give your employees a place where they can talk about you on your platform. Listen to the show to find out how you can pay attention to your advocates. A small sampling of some of the marketers speaking are from brands such as LinkedIn, Discover, Marriott, Huffington Post, H&R Block, Humana and Adobe, among many others. To reinforce the networking value of this conference, here’s a clip from Chris Brogan. If you want to take your relationship marketing to the next level, this is where you need to be. Be sure to check it out. 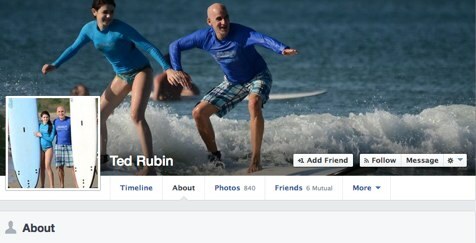 Connect with Ted Rubin on his blog or on Return on Relationship. Read Ted’s co-authored book, Return on Relationship. 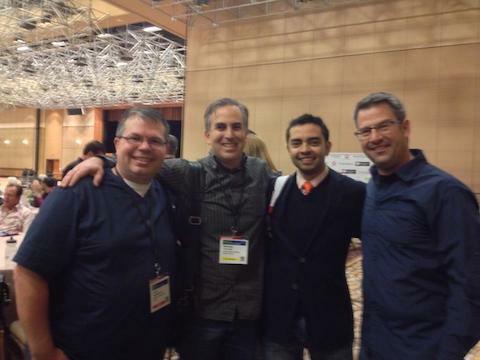 Check out New Media Expo (NMX) as a great place to network. Read more about the Elevation Principle in the book, Launch. Check out Dale Carnegie‘s book, How to Win Friends & Influence People. Try the Refresh app to find out more about people in your contact file. Head over to e.l.f. Cosmetics and check them out on Twitter and Facebook. Take a look at Jet Blue and Duane Reade on Twitter to see how they develop relationships with customers. 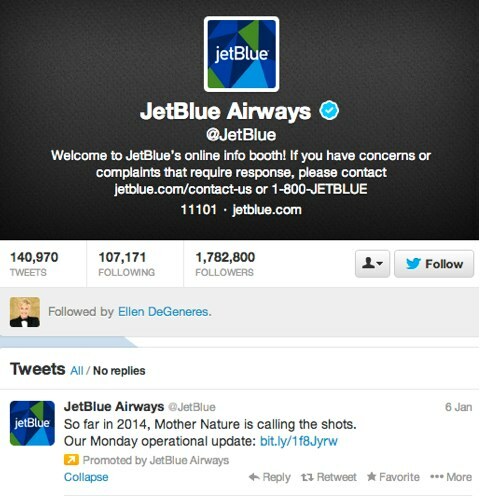 See how American Airlines and Delta have followed in Jet Blue’s footsteps on Twitter. Check out Dynamic Signal, an employee advocacy service. What do you think? What are your thoughts on building meaningful connections? Please leave your comments below.